Sean's Picks of the Week (0410-0414) - 5th Edition Week! Becoming more fond of Theme Weeks, I decided this week should feature 5th Edition Dungeons & Dragons products. 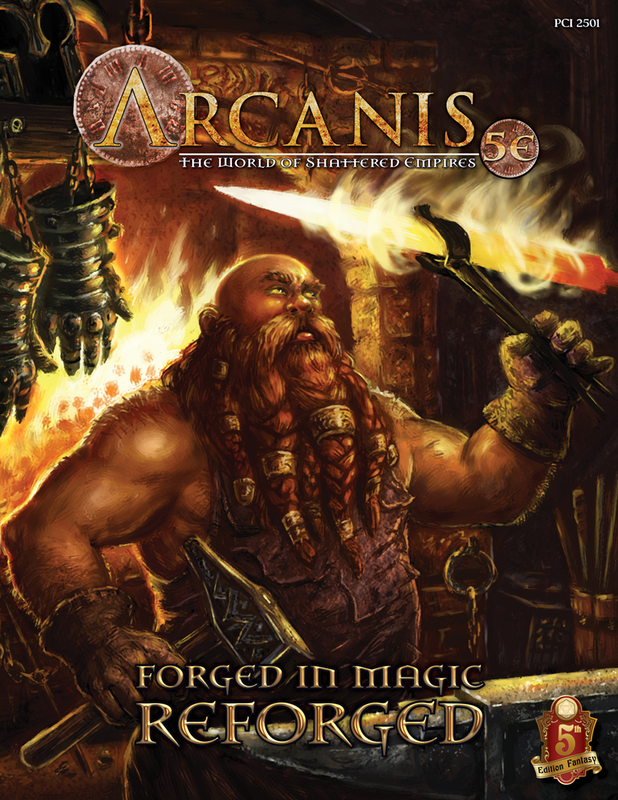 While some may feel the release schedule of official Wizards of the Coast products isn't what they're used to (or what they'd prefer), it's important to note that there's a huge amount of material for the latest edition of the World's Most Popular RPG from both established publishers and super-fans with excellent design instincts and an abiding passion for the game. News Digest: Magic: The Gathering Aether Revolt, Petersen Entertainment Sues PayPal, Wizard World Drama Continues, Asmodee Buys More Companies, And More! Hello everyone, Darryl here with this week (and some change due to the holidays) gaming news! A new Magic: The Gathering expansion is almost upon us with an amazing video trailer, CNN confuses Fallout 4 with the real world, Asmodee acquired more companies, Petersen Entertainment sues PayPal, Wizard World's story gets even more complicated, and much more! Check Out The 20 Top-Rated RPG Items! Not Got Strahd Yet & Still Want Previews? Following on from Chris Perkins' previous sketch maps of the Burgomaster's Mansion, Blue Water Inn, Old Bonegrinder, and the Vistani Camp, this latest is the town of Krezk. Enjoy! Want To See The Castle Ravenloft Poster Map In CURSE OF STRAHD? Those who are excited about the fold-out map in Curse of Strahd can take a peek at it courtesy of Jeremy Crawford. The map features Barovia on one side, and Castle Ravenloft on the other, depicted in a gorgeous isometric view just like the original Ravenloft module was back in 1983. Check Out CURSE OF STRAHD'S Table of Contents! Here's a look at the table of contents from Curse of Strahd (which hits preferred stores in two days, and everywhere else 11 days later on March 15th). It shows the entire adventure, along with quite the pile of maps, handouts, and more. Barovia gets 10 pages, and the Village of Barovia a further 7; Castle Ravenloft itself gets 30 pages. Also visible are things we've seen previews or sketches of, such as Old Bonegrinder. Yesterday, WotC's Chris Perkins took part in a Reddit AMA. I've compiled the interesting bits here. I've not included game advice questions, rules-type questions, or personal questions or things like "what's your favourite class?". So, mainly, questions about products and WotC; the AMA was mainly focused on Curse of Strahd, but covered other bits and pieces too, including hints of a Perkins collaboration with Critical Role. As always, WotC doesn't talk about unannounced future products. Also be sure to check out the the Haunted One, a preview of a background appearing in Curse of Strahd.